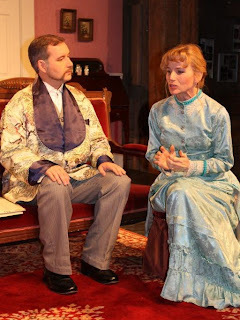 Putnam County Playhouse: "ANGEL STREET" TICKETS ON SALE NOW! The box office is open 5 p.m. to 7 p.m. Monday through Saturday. Call 653-5880 to make reservations. All tickets are $10. All performances begin at 8 p.m.
We accept cash or check in payment. We are unable to accept credit cards at this time! Remember - you can also purchase tickets for "The Drowsy Chaperone" and "Harvey" now!